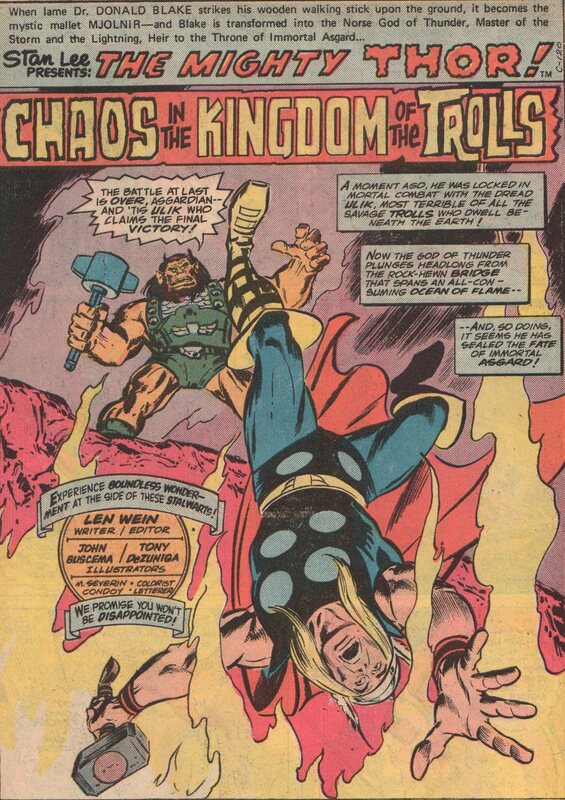 Thor 253, 1976 “Chaos in the Kingdom of the Trolls!” | Magazines and Monsters! 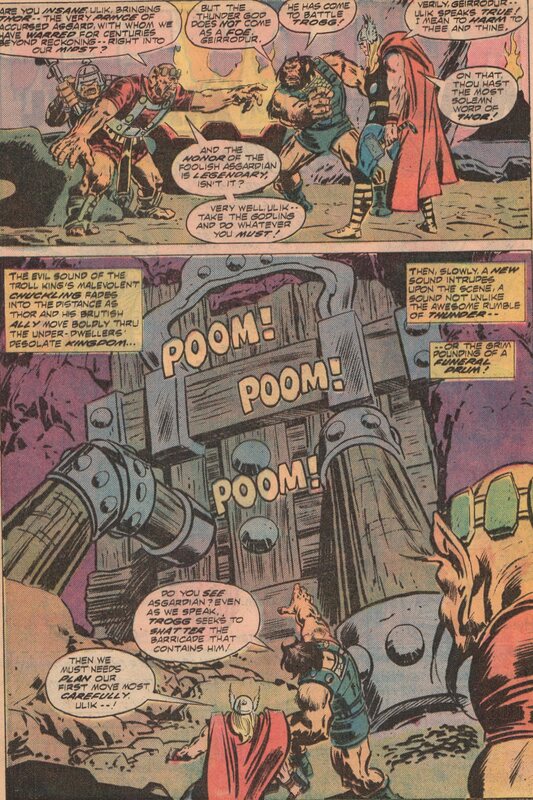 Some of my favorite comics are those of Thor, volume one. Especially the issues in the mid-200s. I really enjoy the way each story seems self-contained but also connecting to the previous and following issues in a way that wasn’t inconvenient. In this second part of a three-part story, Tor must team-up with his sworn enemy, Ulik the Troll. These two absolutely hate one another, but they must work together to defeat a dragon and then a giant! 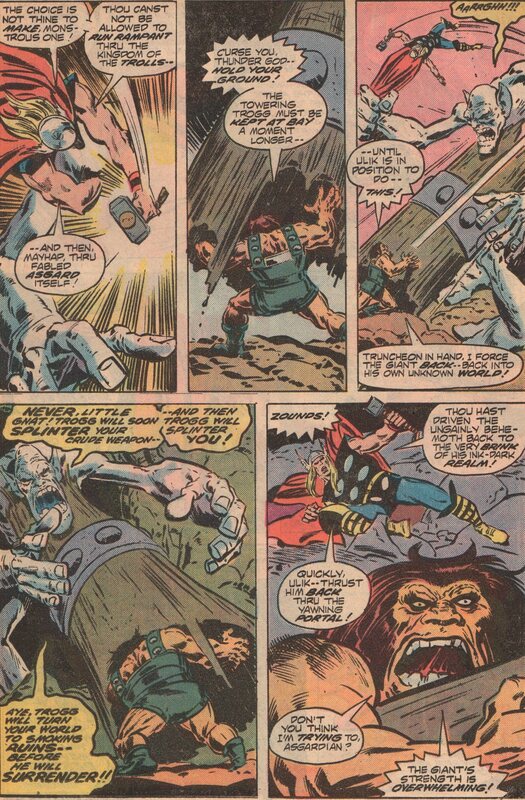 By story’s end though, Ulik and his minions are laughing at the Prince of Asgard! I’m a big fan of “Lively” Len Wein (writer/editor). From his work as an editor (Watchmen, New Teen Titans), and vision in reviving the X-Men franchise (along with Dave Cockrum), he really should be recognized a lot more than anyone seems to give him credit. 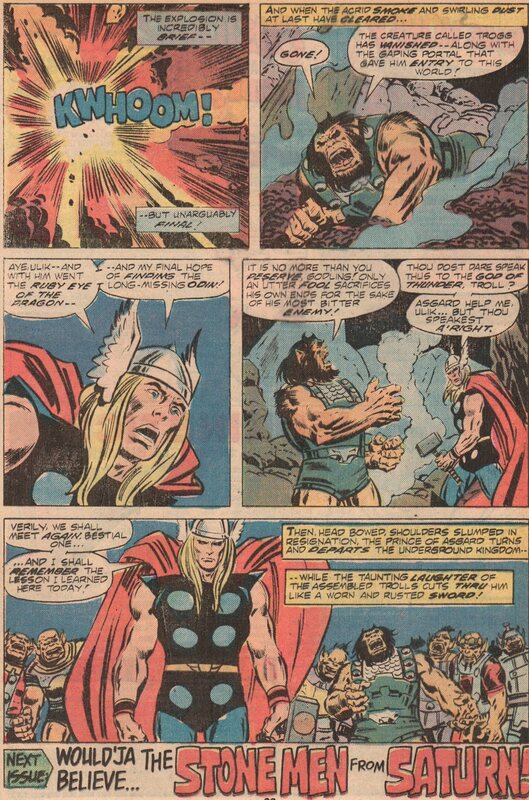 Artist “Big” John Buscema (pencils), is a master that let us too soon. His work on books like Conan, The Avengers, and Silver Surfer are the stuff of legend. 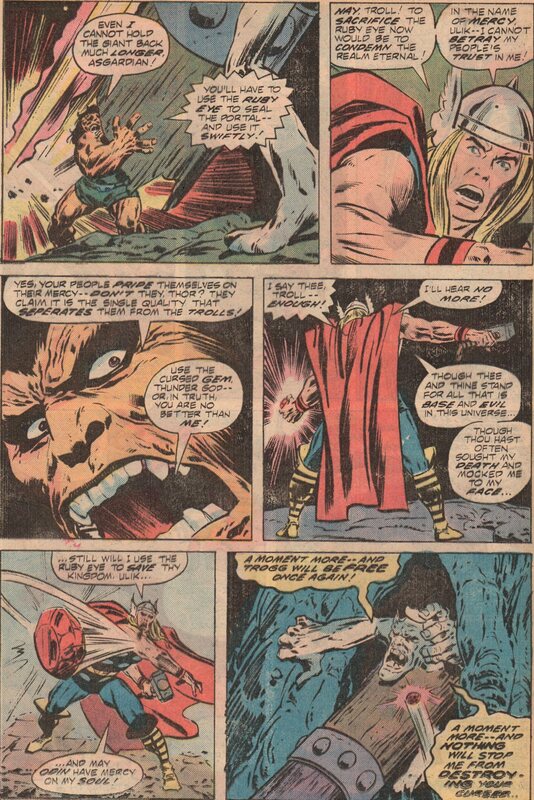 Of course, as with most artists, some inkers suited his style better than others, but honestly, his pencils were strong enough that they typically would show right through. One of the inkers that did suite him quite well, was Tony DeZuniga (Jonah Hex, Black Orchid). He’s another one of those guys that rarely gets enough airtime, as an inker or penciler, and that is a travesty. Colors were by the ever-present Marie Severin. She’s someone who should definitely be on your radar simply because not only was she a great artist, but also because she was one of the few women in comics since back in the Silver Age. Letters were by Condoy (?). 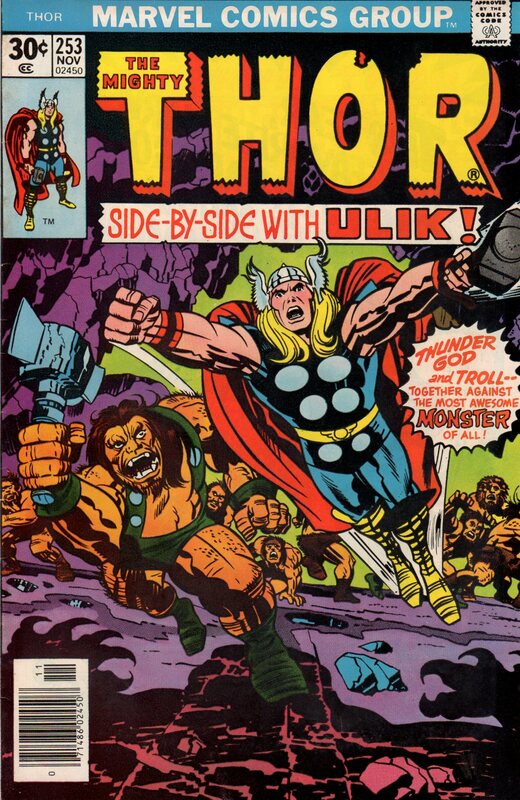 The cover was by Jack “King” Kirby, and even though there appears to have been some alterations, you can still see the weight that Kirby’s pencils carry.